Emerald gemstone is delicate and durable. Due to the carbon in Emeralds, there are some black spots on Emerald. Due to this, emeralds are recognized. Cracks are often seen on the Emeralds, but it does not affect its utility. Emeralds are found in the mines of coal. Wearing emerald gemstone gives many beneficial results. It can moderate mental disturbance. Emerald raised the power of reasoning and presence of mind. There are many beliefs about Emerald. If it is tied around the waist of a pregnant woman, it makes delivery very easy. If someone tries to harm a person who is wearing emerald, he is exposed very soon. If a real green emerald or Panna is placed on the eyes it gives a cool feeling, whereas an imitation becomes warm very quickly. If Emerald is placed in a glass pot with water, it radiates green light, whereas the fake does not. A drop of water on a real Emerald retains its shape and does not spread like water, but fake Emerald spreads the water. The color of Emerald decides the price of Emerald in the market. However, the cut, clarity, and size of the gem are also deciding factors for the price of this gemstone. Emeralds that are medium to dark green are considered as emeralds and lighter are called green beryl. It is too difficult to cut the Emerald. 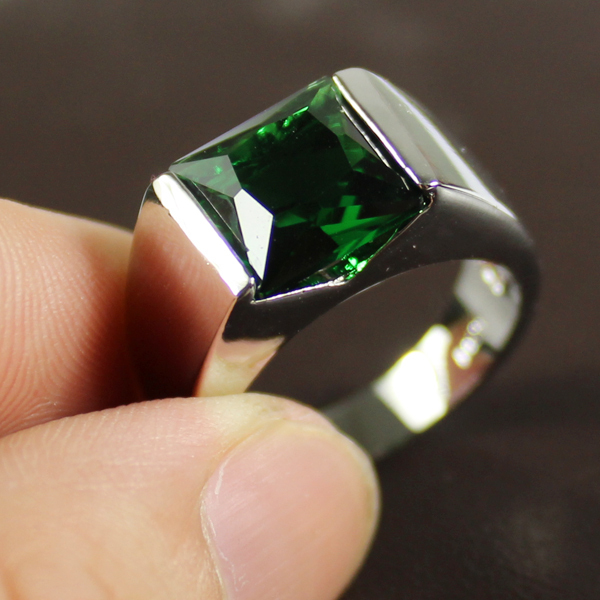 Before cutting, the cutter should plan all the things for the cutting of Emerald gemstone. Emeralds have a lot of cracks and this makes them very fragile. Corners should be cut in a manner in order to make them stronger and durable. This cut is now known as Emerald Cut. Many times the rough emeralds are polished and set in jewelry. Emerald gemstone comes in varying sizes. Emerald gemstones come in different sizes. A large size emerald is rare to find thus the price of the Emerald go up with the increase in the size of a gem. Bigger the size more the price. Relationships between per-carat prices and sizes vary with each specific gemstone group. In gemstones, clarity and transparency are closely linked. Emeralds are normally found to have visible flaws. If flaws in the emerald reduce the clarity and transparency of Emerald completely, then gemstone may not get a good price in the market.